We never thought we’d be jealous of an Australian albatross, but dammit – those big birds get some amazing views. 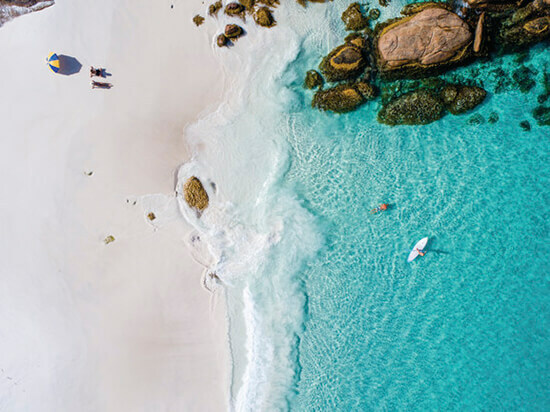 With sweeping white sands, jungly tangles, technicolour corals and sea water that looks more like a swimming pool, Western Australia is even more photogenic from the air. Welcome to WA, as you’ve never seen it before. #NoFilter required on this snap of heavenly Hellfire Bay, near the southernmost tip of Western Australia. When you’re done admiring that sugar-white sand and sapphire-blue sea, try your hand at surfing lessons and snorkelling, or tackle the two-hour hike to equally idyllic Thistle Cove. No, this isn’t the surface of the moon, though if you venture up to Francois Peron National Park you’ll probably feel like the only person on earth. The rocky red cliffs of this far-flung reserve give way to soft coral sands and shallow sea pools – a spectacular spot for kayaking trips and secluded camping under the stars. 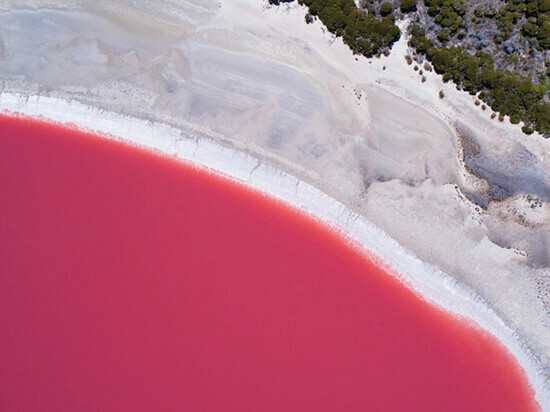 This bubblegum-coloured lake gets its colour from the little critters that thrive in its super-salty water. It’s a lake for floating in, rather than swimming: it has similar salt levels to the Dead Sea. To get here you’ll probably have to sweet-talk a helicopter pilot, but it’s definitely worth the effort. 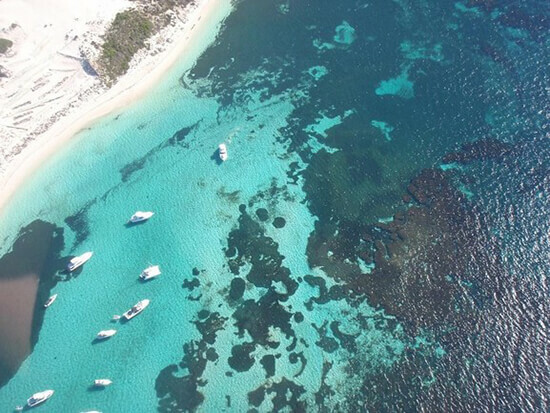 The charms of Rottnest – aka Rotto – aren’t limited to Instagram-ready beaches and water sports, oh no. You can’t see them from up here, but the island is also home to hundreds of super-cute quokkas, which look just like overgrown hamsters. Take the Rottnest Express Ferry from Perth to say hello. 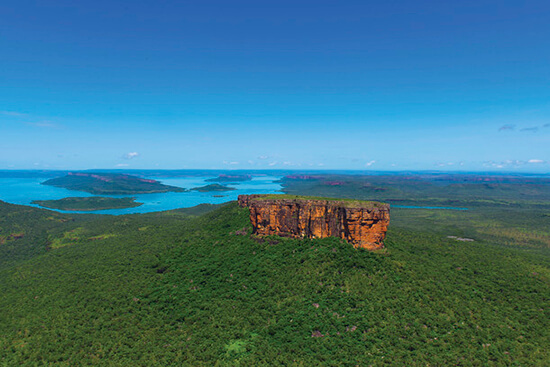 Towering almost 400ms above the Kimberley Coast plains, Mount Trafalgar is one rock formation that's impossible to miss. Together with its near-neighbour Mount Waterloo, Trafalgar was named by the Brits in honour of the Napoleonic battles. 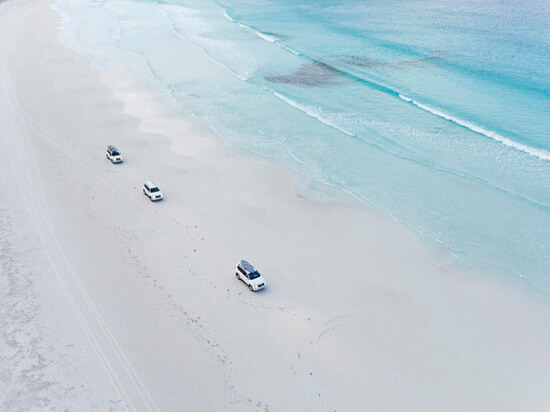 Unfortunately, you won’t have lovely Lucky Bay to yourself: you’ll have to share it with the resident kangaroos, who can’t get enough of its sensational sands either. Sorry. These 4x4s are probably heading off to meet them for some wild camping. Is there a beach in WA that isn’t overrun with sun-loving animals? 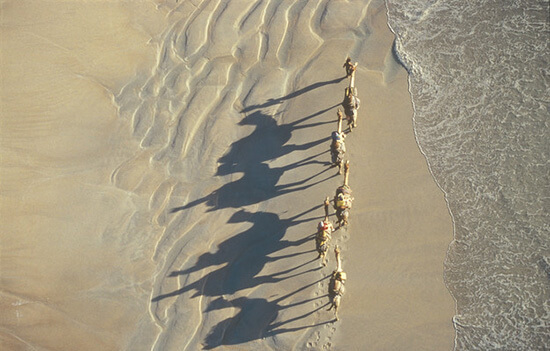 Seaside strolls are so passé: on Cable Beach you can let camels do the legwork for you – a particularly photogenic prospect at sunset. 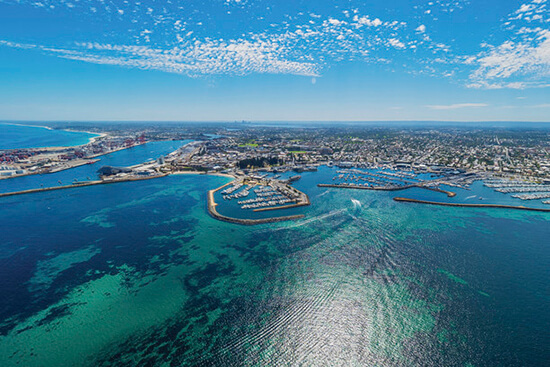 Another treasure on the doorstep of Perth, the city of Fremantle is stuffed with cool art galleries, avocado-toting cafés, rooftop bars and independent boutiques. It’s got that Shoreditch vibe, but with sun and beautiful beaches too. A sight so impressive that David Attenborough dubbed it 'one of the greatest wonders of the natural world', this waterfall changes direction with the rise and fall of the tide. Seawater builds up on one side of the McLarty Range rock, and gushes through with the force of a waterfall. But when the tide reverses, so does the water – boggling every onlooker’s brain. 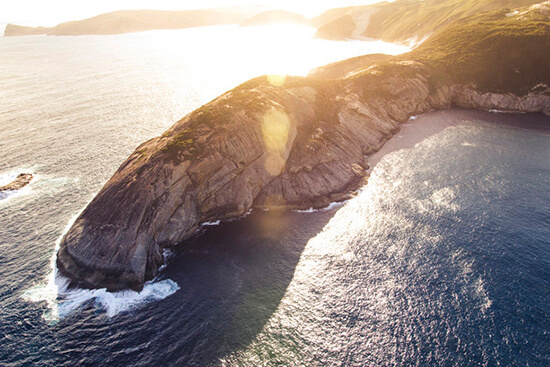 Bald Head is the tip of Torndirrup National Park – famed for its seawater blowholes, natural stone bridge, and the fantastic Bald Head Trail which winds along the granite cliffs. Keep your eyes peeled for whales on this day walk: they’re often spotted around here between June and October. 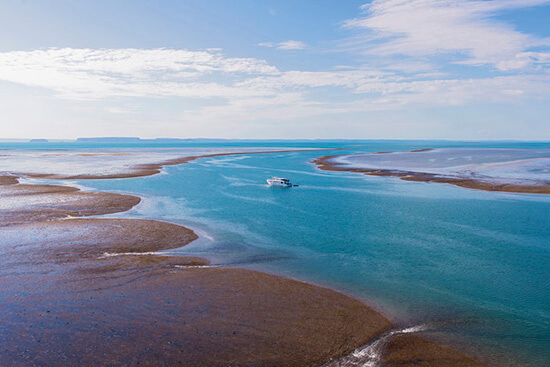 When the tide recedes, the shallow waters of Montgomery Reef reveal turtles, dugongs and black-tipped reef sharks. It's ideal for snorkellers who don’t want to venture far to see WA’s marine wonders in the wild. Named after Dutch explorer Dirk Hartog (great name! 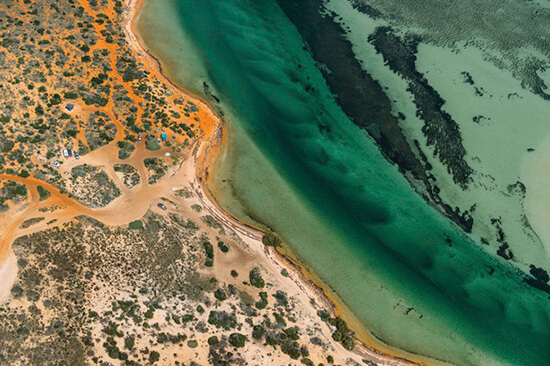 ), this nature reserve is actually a whole island – complete with wilderness camping sites, coastal hiking trails, rock pools and secluded beaches. Perfect for adventurous types. Willie Creek is the surprising birthplace of some of the world’s swankiest bling. The estuary’s pearl farm produces delicate, shimmering pearls for leading jewellery makers, though it’s the area’s natural charms – like these prancing ponies - that we’ve fallen for. 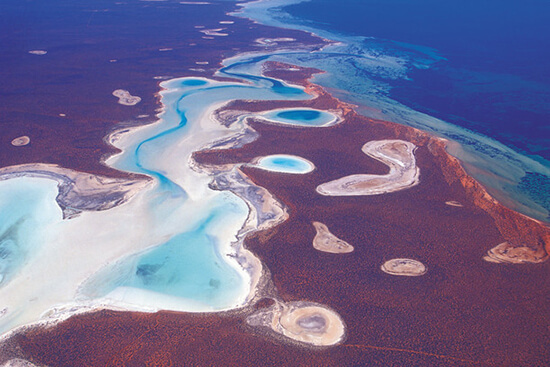 See the beauty of Western Australia for yourself on our South West Highlights Journey. 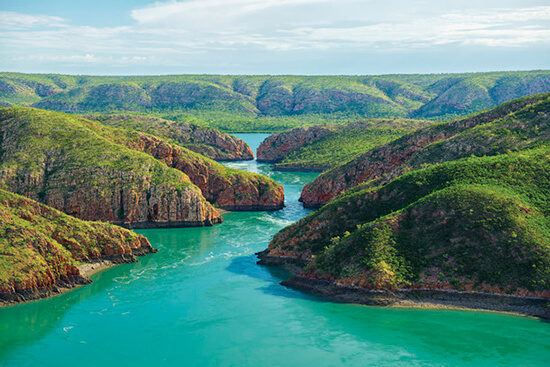 Chat to an Expert about booking this trip, or tailor making your very own Western Australia holiday.